Double Review: Twentieth century novels for Children: Swallows and Amazons and Harry Potter and the Philosopher’s Stone. Early realist novel Swallows and Amazons (1930) by Arthur Ransome, and modern fantasy novel Harry Potter and the Philosophers Stone (1997) by J.K.Rowling may seem like unusual novels to review together. One is seen as prestigious and the other popular. But what difference does that make to the enjoyment of the two books? Swallows and Amazons has a literary approach to dialogue, plot and characters. It begins with Roger anticipating a response to a request sent out to their father, one which the reader is not yet aware. The narrative then takes us back to when they first had the idea to land on “their island”. 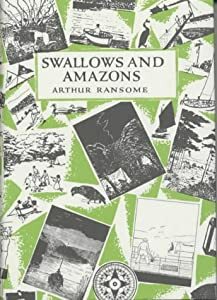 What makes Swallows and Amazons so good? It pays homage to Treasure Island and Robinson Crusoe. It creates a very different story using the same island adventure idea. These stories help the characters play and imagine they are Robinson Crusoe “It’s Man Friday’s Tent”. Ransome is credited by critics with developing modern children’s literature by challenging what came before. His characters use modern language and abbreviations such as “Can’t now” rather than the standard middle class English still used by authors at the time Ransome was writing. Harry Potter and the Philosopher’s Stone is described as fantasy fiction, where the extraordinary can happen and mythical creatures exist such as unicorns. In children’s literature fantasy allows for greater subtextual meaning. The book has been criticized by some religious organizations for its use of magic yet the story is rooted in older children’s literature making it less controversial that some critics suggest. The boarding school setting and rivalry for academic excellence and winning the “house cup” give it an old fashioned feel, and fundamentally the story is about good versus evil, with good winning. Rowling avoids complex sentence structures and the story has a straight forward narrative. When comparing it against Swallows and Amazons the structure in Harry Potter and the Philosopher’s Stone is simple, child-friendly and starts from the beginning, in a normal world, then moving into his extraordinary adventures. Harry Potter and the Philosopher’s Stone was shortlisted for the 1997 Carnegie Medal, but was not a winner. 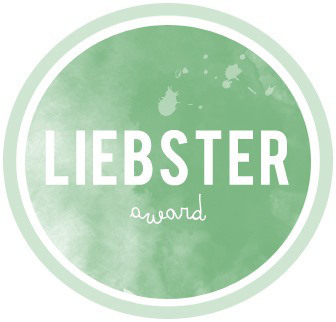 It did however win the Nestle´ Smarties Book Prize and other awards where children were involved with the judging process, but failed to win any prestigious prizes judged by adults such as The Newberry Prize. This prize is awarded for books which contribute to literature. Harry Potter and the Philosopher’s Stone was blocked for not being brilliantly written, but even though the text is not as literary sophisticated as Swallows and Amazons it has proven popular with children. It has re-engaged both boys and girls with reading, which is by a large degree an important contribution to literature. What makes Harry Potter and the Philosopher’s Stone so good? It pays homage to other great works of literature: The boarding school format from Thomas Hughes’s Tom Brown’s Schooldays; and the wizard school from Jill Murphey’s The Worst Witch. There are also various examples of Lewis Carroll’s influence in the book: From falling through the trapdoor, like Alice falling down the rabbit-hole, to the giant chess game, like Alice through the Looking Glass to the riddle with the bottles, like the shrinking and growing potions in Alice’s Adventures in Wonderland. For child enjoyment, Harry Potter and the Philosopher’s Stone has proven to be very successful.